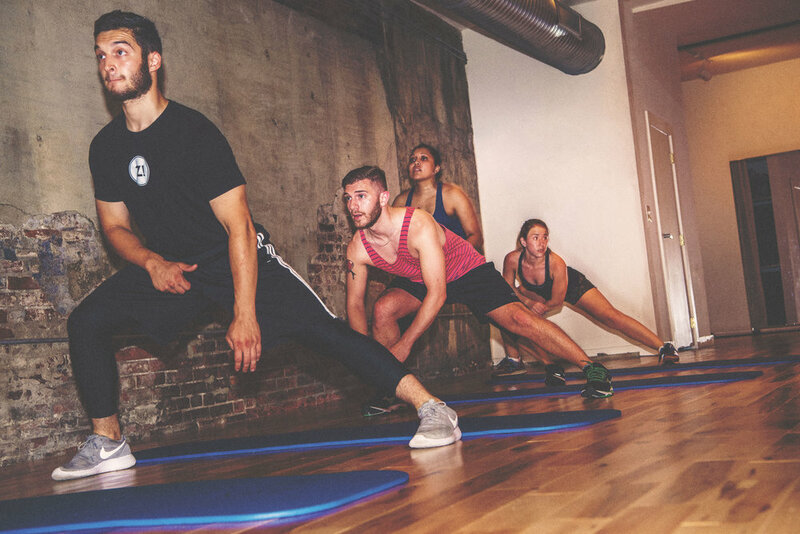 We keep classes small, with a 10-person cap, giving you personal attention and corrective cues. Expect a general warm-up, followed by 20–30 minutes of hard work, and a cool-down to reinforce correct functional patterns. Designed for seekers of energy and balance. BFF was designed to deliver on all of your fitness needs from toning and strengthening to endurance and flexibility. Our most effective and efficient class if you’re looking to lose weight, build core, and develop flexibility, you will sweat. Moderate—A controlled, core based, bodyweight strengthening workout, individually scalable to your ability and level of effort. 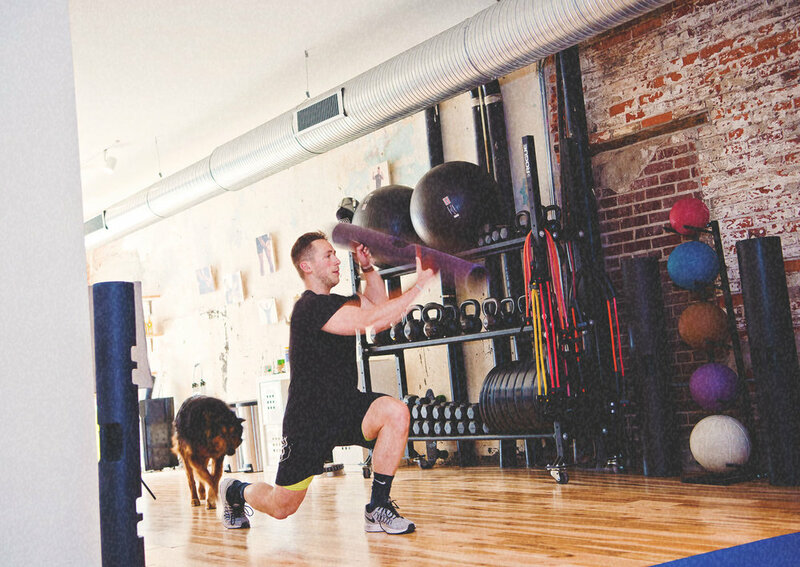 This circuit-station class is designed to build your strength & power in movement patterns you can take into everyday life. Combining whole-body exercises and resistance training through multi-directional movement, you’ll gain results in your both your functional fitness conditioning, mobility, and body composition. High—Challenging movements utilizing resistance at each station. Expect 4-6 stations for 4-6 rounds. Made to build sustainable lean muscle and increase strength and power from the inside, out. SPP will NOT build bulky muscle; the class is designed HIIT Circuit style so that you reap the benefits of strength and power without the bulk, improving your performance no matter what your profession. High—Intense movements using resistance/weights to improve your explosion. S-HIIT is designed for the sweat seeker, the workout warrior, who’s looking to shed unwanted weight, build lean muscle, strength, power, and endurance. Challenge yourself to be your best through this fast paced, interval-based “Boot-Camp” style class. High—A Sweaty, intense, and fast-paced workout. Learn to control your body and mind. A private powerlifting class experience that meets twice a week in 4-week cycles (8 private classes per month). This is advanced training with focus on developing strength, muscle tone, and movement quality across primary compound exercises. Programming includes the deadlift, squat, bench press, and other olympic style lifts and techniques. Ditch the training wheels and get an education that lasts a lifetime. Release restriction from the level of bone. Our highly effective techniques bring mobility when performed properly. Learn to loosen tight muscles and joints through a combination of myofascial release and corrective movements. Through using specialized Yamuna balls and foot wakers, we can target difficult spots that are inaccessible using more blunt foam rollers. Yoga for the Athlete. Drop the Sanskrit. Drop the Fanciful Stories. This is Pete’s culmination of over two decades of movement experience as a trainer, coach, yogi, triathlete, and bodyworker. Connect your body & mind in a clear, simple, functional way, and for god’s sake—learn how to stand up straight. Light—Get deep into basic functional yoga patterns. Learn to get into the poses you never could before. Leave feeling refreshed and flexible. Our Foundational Strength sessions break down your current form and improve your primary movement patterns while building lean muscle. Stop using Youtube as a personal trainer and discover you body's optimal functioning and push your physique to the next level. Moderate to High—Activation of large muscle groups under weight resistance. Movements are paced.